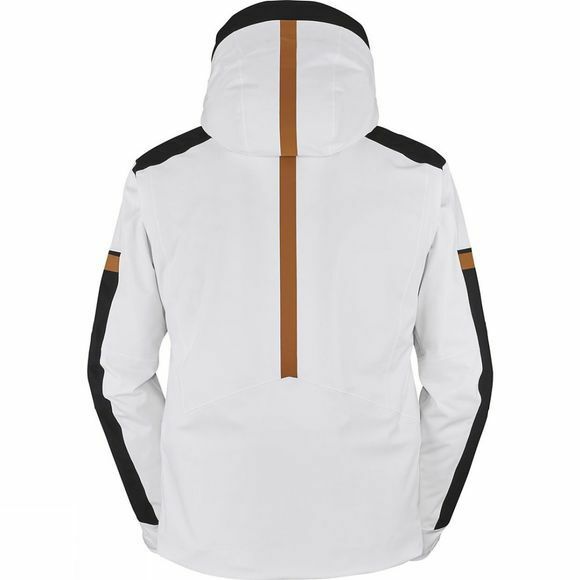 The sleek and sophisticated Eider Men's Beaver Creek Jacket exudes class, with its high-end materials, technical construction, and refined take on color-blocking. The highest levels of weather protection are assured thanks to the Defender membrane, while the durable, full-stretch fabric and blend of PrimaLoft down and synthetic insulation offer unrivaled comfort, warmth, and a precise fit. 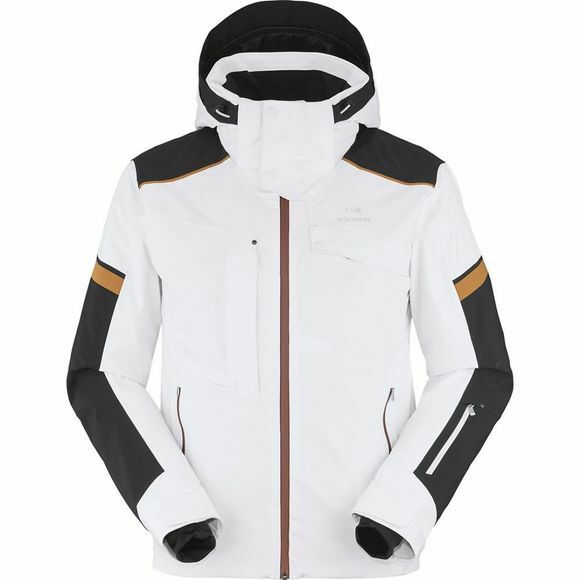 The sleek jacket features a full list of functional ski features for performance on-mountain, while its masculine style will attract attention off the mountain.